The Bottom Line: We haven't had much weather in the last several weeks (in fact, this was our least-snowiest January on record.). Luckily, we got 4-5" of new snow yesterday to freshen up the slopes. 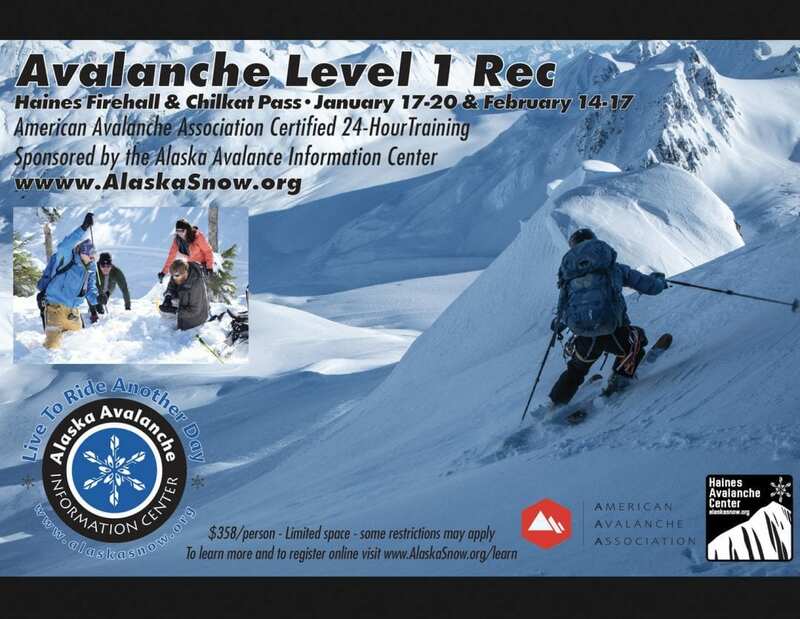 Avalanche conditions haven't changed. We still have patches of buried surface hoar to worry about, and the usual surface wind slabs on high, wind loaded slopes. Keep your guard up this weekend. Many areas will be stable and it will be tempting to venture onto larger slopes. But you can still trigger a deadly avalanche if you venture over areas of buried surface hoar. Be cautious out there, and perform tests on the upper snowpack to look for easy shears. Expect high variability from slope to slope, and avoid convexities. Practice good risk management: limit your exposure to dangerous terrain, and plan for the worst. Location: Wind-loaded and cross-loaded slopes (E-SE-S-SW aspects) steeper than 30 degrees. 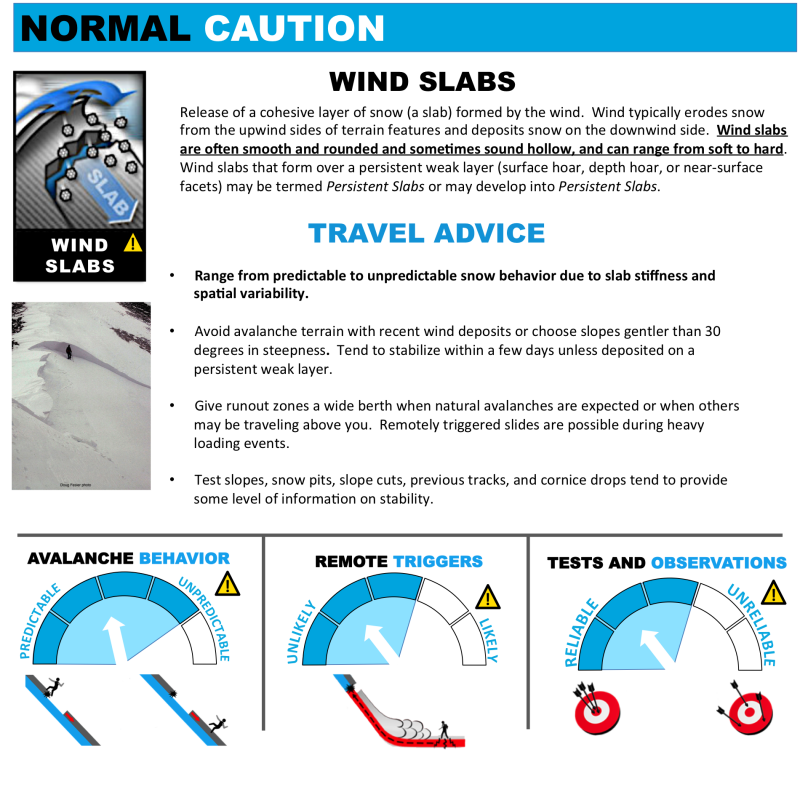 Strong NW winds of 30-50mph last week caused loading of wind slabs onto lee aspects. Because the winds were so strong, loading patterns are likely to be unusual, so look out for wind slabs that get thicker/sketchier mid-slope, further down below ridgelines than usual. Convexities tend to collect wind slabs and act as trigger points. Some of these slabs could be 30-60cm thick. They will be sliding on old weak/facetted snow and patches of surface hoar. Location: ALL elevations, clearings in the trees, and specific slopes above treeline (mainly slopes sheltered from NW winds) where surface hoar formed in Late-January and wasn't blown away by NW winds. There are patches of buried surface hoar lingering underneath two layers of recent snow (roughly 15-60cm deep). We observed areas of natural wind slab avalanches running in low-angle terrain as mellow as 25-degrees, indicating how slick this weak layer is. It's distribution is sporadic and depends on how sheltered a slope was to NW winds. This dangerous weak layer will persist for several weeks or until it can be crushed and flushed out by lots of heavy snowfall. Keep this layer in mind over the next few weeks, and be sure to dig around in wind sheltered areas to look for it. Surface hoar is sneaky because it's hard to map out, but easy to trigger. Use extra caution in openings around treeline, and avoid wind-sheltered rollovers in the alpine. The last observed activity was from around the end of January. Observations found areas of D1-D2 natural windslab and storm slab avalanches on specific terrain that was wind loaded or cross-loaded, between 2500-5000ft. 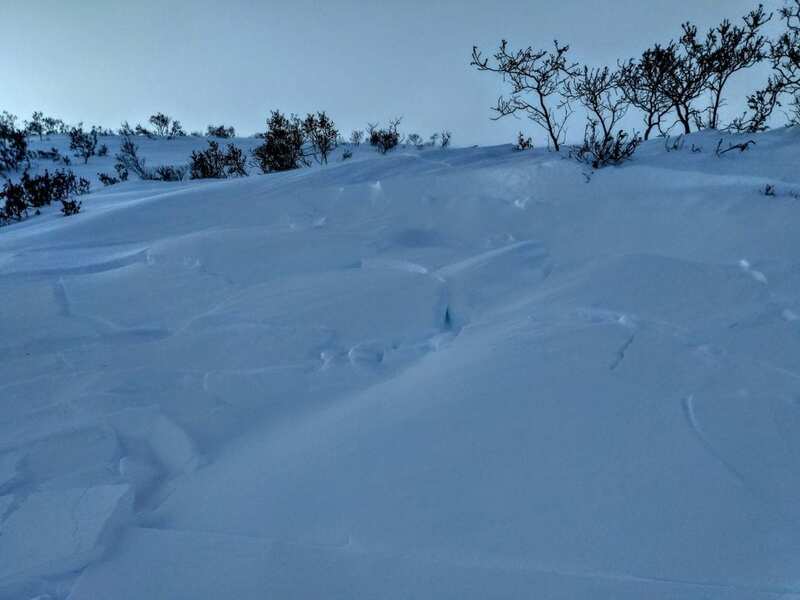 Some wind slabs were sliding on low-angle slopes as low as 25 degrees, and appeared to be sliding on a buried surface hoar layer 10-30cm deep. Distribution of these avalanches was limited to wind loaded areas that had been protected from strong N/NW winds. We're in for a long period of very nice weather. Skies will be clear, winds should be light out of the north, and mountain temperatures reaching the 20's during the day. Our next chance at a storm looks to be Sunday night, but it will likely miss us. If you get out riding, please send in an observation!